We took a risk and it worked. Is there any better feeling? This year's Annual Forum 2014: Disruptive Philanthropy was an experiment of epic proportions for Charities Review Council. A year ago we asked for feedback on our Forum and heard the Minnesota Philanthropic community calling for a deeper dive; so we aligned our new strategy with the planning for this year’s forum and delivered. We created a place where the full spectrum of Minnesota’s philanthropic members could come together to honor our community’s history of generosity, and to imagine a new future where donors, funders and nonprofits do even more good together. The theme Disruptive Philanthropy developed from the idea that change may not be easy or comfortable, but it is necessary in order to make space for new ideas and better outcomes. The day was more creative and energetic than we expected. Starting with the Design Thinking Session, the ideas were flowing. More than 100 people gathered together in groups of eight to explore the concept of giving, in their personal and professional lives. Virajita Singh led the session and helped us realize that “everyone is creative. 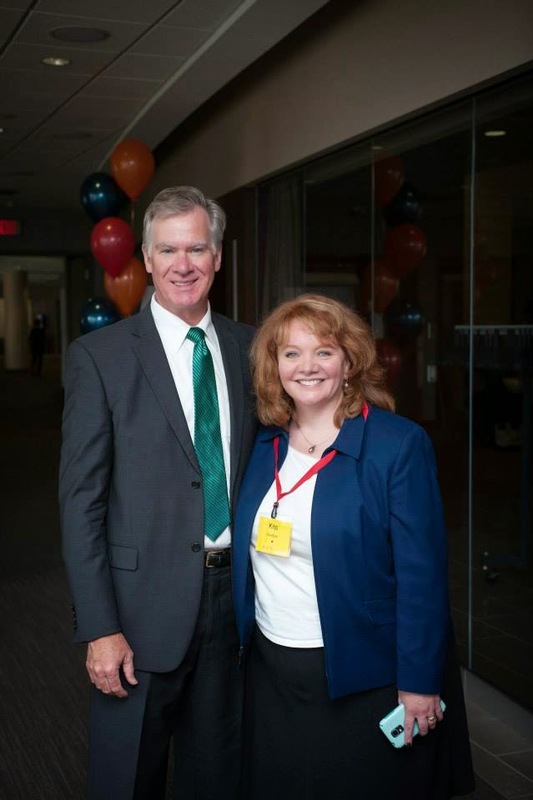 It is inherently human.” Saint Paul’s Mayor Chris Coleman stopped by and reminded us that “City Hall is not the place where disruption will come from;” rather, people working in the community have the agency, the know-how, and the desire to catalyze change. The importance of finding new ways to deal with old problems is often lost in the bureaucracy of institutions, but innovation starts with individuals. Michael Faye, our lunchtime keynote speaker, brought us an example of Disruptive Philanthropy by telling his story about the founding of Give Directly. The organization was created with the idea that those living in poverty across the globe know best how to invest donation dollars. His organization developed a model to provide those extreme poor with the technology to receive direct cash transfers, and they are now watching their unique investments change the landscape of giving. While it may or may not be a model that can be replicated in the United States, it was a reminder that sometimes the best solutions are the simplest. Seeing through old ways of doing to go back to our ultimate goal is the first step in sparking new ideas for giving, and giving effectively. With a good laugh from the Theater of Public Policy to end lunch, we launched our newest idea for giving effectively: the Live Giving party. There we heard from five organizations tackling their communities’ problems with innovative solutions. And in the end, our vision of ‘disruption’ was put in action when everyone at the Forum was offered the opportunity to give with giving cards courtesy of Charities Review Council and GiveMN. 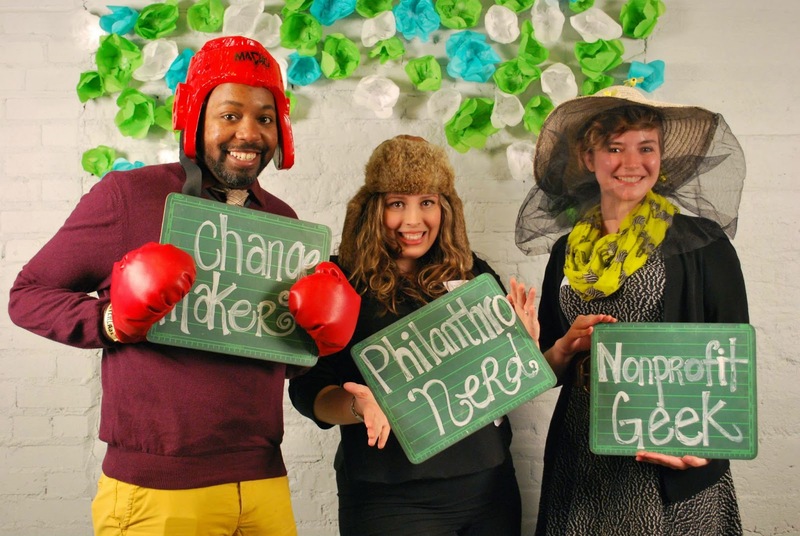 We learned that Disruptive Philanthropy is already in action in the Twin Cities. It lives in the creative minds of philanthropic and nonprofit professionals. It is fostered by the Minnesota Nice mentality we uphold that allows for collaboration and appreciation of diversity. Kate Khaled, Engagement and Development Manager: "We used Design Thinking practices to plan #DisruptMN, and it paid off. The process was catalytic for Charities Review Council and the community we serve. When you use an inclusive process (like Design Thinking) to imagine new programs, you can transform a traditional lunch into an active experience with the end-user in mind. 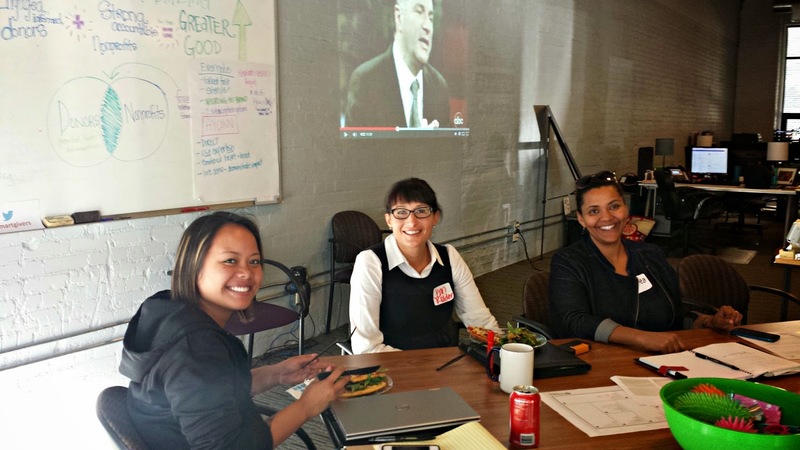 We may not have gotten everything exactly right the first time, but with our guests as our partners, we can continue to build dynamic experiences (like #DisruptMN) that completely re-design the social sector engagement experience." 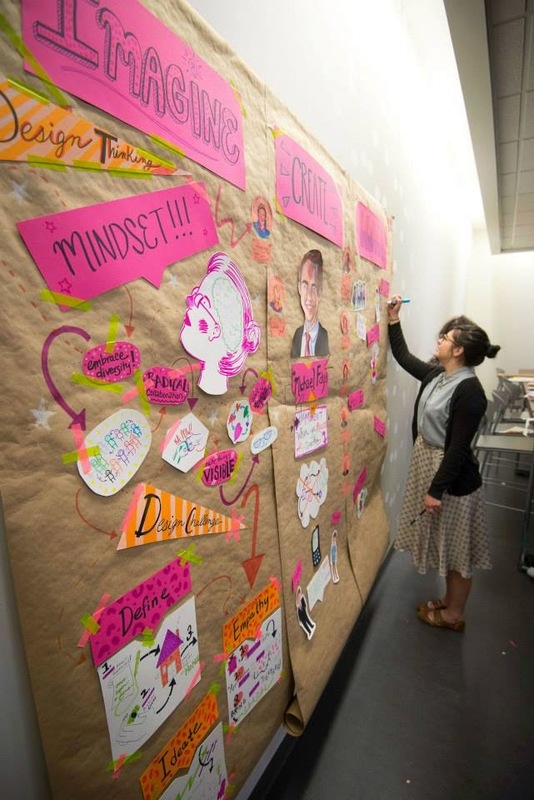 The Council hopes to continue this collaboration throughout the year, with more Design Thinking sessions and opportunities to use learning from #DisruptMN. In the coming weeks watch out for a report from Virajita Singh on the ideas developed during the design thinking session. There are pictures already on Facebook from the event – make sure to find and tag yourself and friends! In addition, a video recap of the day will be on our website within the month. And if you haven’t already, please fill out our evaluation survey – your feedback is essential to shape next year’s forum and to make it bigger, better and more disruptive. After receiving a significant number of nominations, the Council chose five organizations to pitch at our Live Giving party. The selection process was tough – Charities Review Council was thrilled by all of the submissions. Our community is full of innovative ideas, and nonprofits are using their imagination and creativity. Donors: are you ready to try a new way of giving? REGISTER HERE. We're honored to announce that Youthlink, Rural Renewable Energy Alliance, World Savvy, Pillsbury United Communities and Native American Community Development Institute will all be pitching, Shark Tank style, at our Live Giving Party on September 30. Each of these organizations is either working to meet Standards or Meet Standards; for that reason, donors who give at our Live Giving Party can feel confident that these great ideas are also strong investments. Learn about each organization below. Their creative pitches will remain a surprise reserved just for party guests! Youthlink's mission is to build healthy relationships with youth and the community to address youths’ urgent needs so that doors of opportunity are opened to futures of empowerment, connectedness, and self-reliance. Youthlink empowers homeless youth to be healthy, active and contributing members of the community. Youth (defined as ages 16-23) can find themselves homeless for a variety of reasons – Youthlink offers young people a place to feel safe, eat a meal, shower, get help with school and finding a job, or receive medical care. Without a stable home to grow up in, homeless youth are often ill-prepared for the demanding responsibilities of adult life. Youthlink takes care of their basic needs so they have the power and motivation to find a route out of homelessness and an avenue into adulthood. 2014 marks the organization’s 40th year of guiding homeless youth into pathways of opportunity. Read some phenomenal stories of individuals who prospered with a little help from Youthlink. 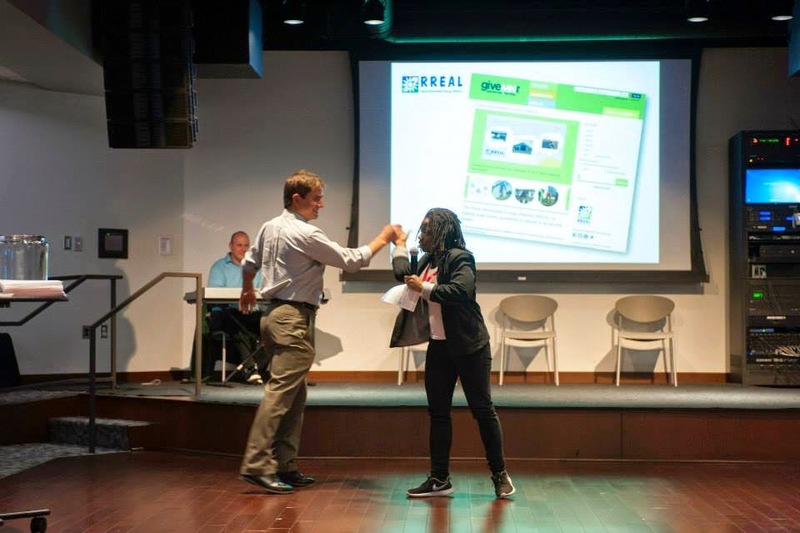 Rural Renewable Energy Alliance (RREAL) is the brainchild of high school teacher Jason Edens. His vision was to help families struggling with fuel poverty in a more sustainable way. The cost of heating your home has risen exponentially in the recent decades; solar energy technology is one way to offset that cost, but the initial installation costs can be just as extraordinary. RREAL helps provide the installation and use of solar energy panels, so that families struggling to pay energy bills can heat their homes through the winter on minimal dollars and continue to be self-reliant in future years. They are helping offset the ever increasing carbon footprint of fossil fuels and the money tax-payers put in to help low income families from freezing in our beyond frigid Minnesota winters. Win- win for the environment, economy and individuals who each winter have to choose between heat and food. Read more about how solar energy works and who’s benefited from this program. World Savvy provides students and teachers with the resources needed to be responsible global citizens in the 21st century. Our world is increasingly interconnected; the students of today need to know how to navigate the technology that is connecting us and the array of cultures that are now in contact. History has never seen this level of instantaneous reach; developing global competency is critical for us to thrive as a collective world society. World Savvy provides programs for students and teachers with themes of collaborative problem solving, art and media exploration, experiential service learning and international exchange. Read more about their World Savvy Classrooms and Global Competence Certificates – two programs changing the way we approach education and the world. 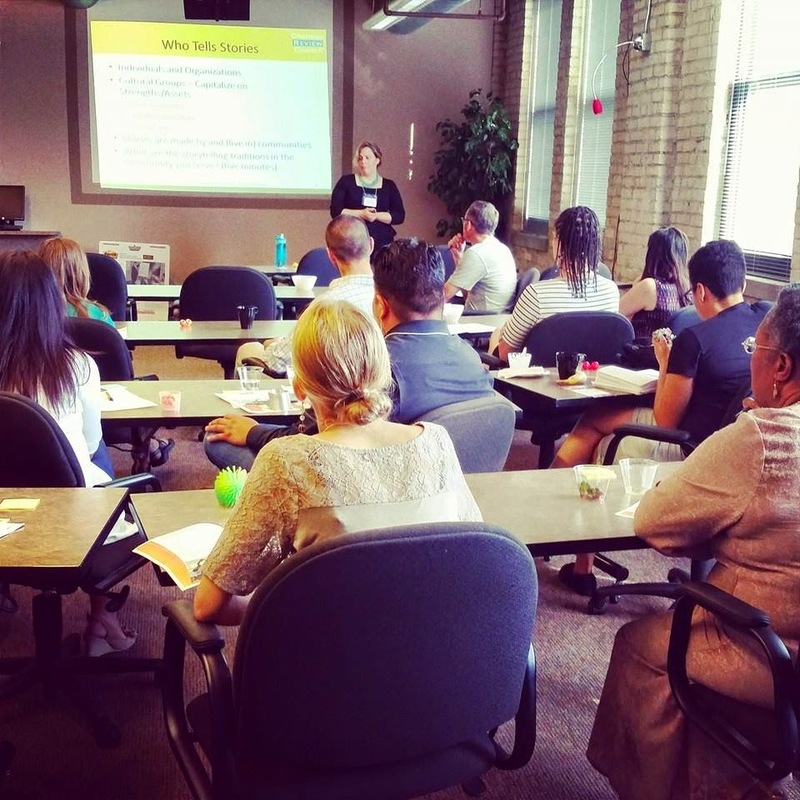 Pillsbury United Communities is a network of neighborhood centers across Minneapolis that offer programs and activities that address education, youth and family, wellness and nutrition, employment and training, and asset creation. They seek to help people not just exist, but thrive in their communities as connected Minneapolis citizens. With 5 centers throughout the area, they serve just about any need a neighbor could imagine, including computer and culinary classes, retail stores for shopping and job opportunities, after-school activities, emergency food shelf and child care, and urban farming. 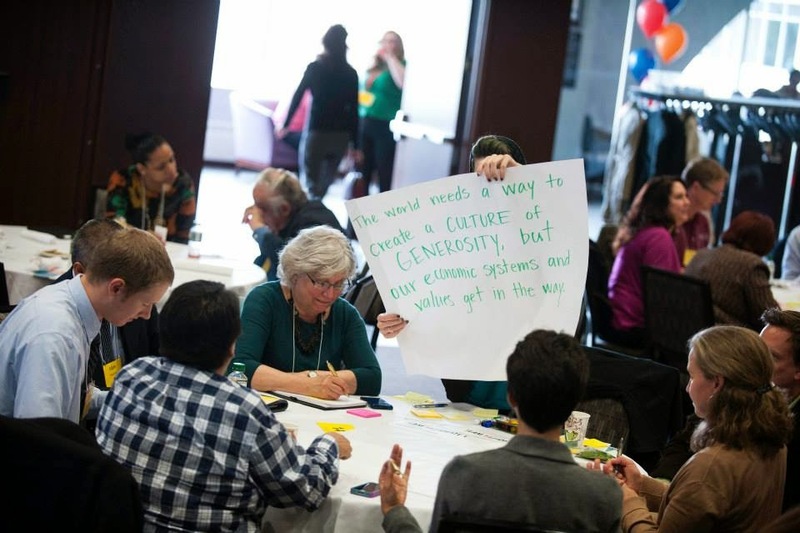 PUC offers strategic opportunities for people to participate, connect and organize; building bridges between communities and decision-makers, to break through barriers to self-sufficiency. And this October they will be celebrating their 135 years of service in the Twin Cities! Learn more about the centers and the opportunities available for ALL Minneapolis residents. The Native American Community Development Institute or NACDI hopes to connect the Native American community to 21st century opportunities. By acting as an alliance of major Indian nonprofits and businesses in the Twin Cities area, they help to strengthen the capacity building efforts of the community. Their aim is to change the Native American community from one of deficit to one of opportunity, job growth, and asset building. Over the past few years their accomplishments include recruiting the first American Indian-owned Bank to open on Franklin Ave, creating a new Community Development degree program for MCTC, and graduating 7 Native Americans in their entrepreneurship program. Read about their lengthy list of current projects and how they are touching both the Native and non-Native communities. Judging by the work these nonprofits are already doing, their bright ideas are sure to be ‘disruptive’ and worthy of your 'time,' 'talent' and 'treasure.' Please join us at the Live Giving Party, and show your support for five strong organizations who are working creatively to address some of the biggest needs in our Minnesota community, and beyond. Dameun Strange sees Disruptive Philanthropy come to life in his Ron McKinley Philanthropy Fellowship at the Bush Foundation (our presenting partner for this year's Annual Forum). 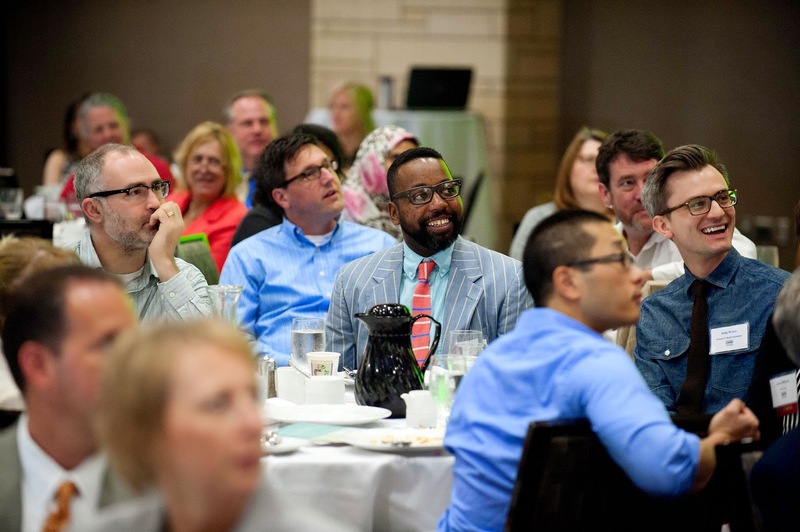 The Ron McKinley Fellows infuse the philanthropic leadership of Minnesota with not only an array of diverse new faces, but also the voices and ideas of people who aren't normally heard in a traditional room of funders. Dameun self-identifies as one of those voices. Originally from Washington D.C., he moved to the land of snow and hot dish to attend Macalester College. Once here, Dameun fell in love with the collaborative arts community of the Twin Cities and more recently his vibrant Frogtown neighborhood. 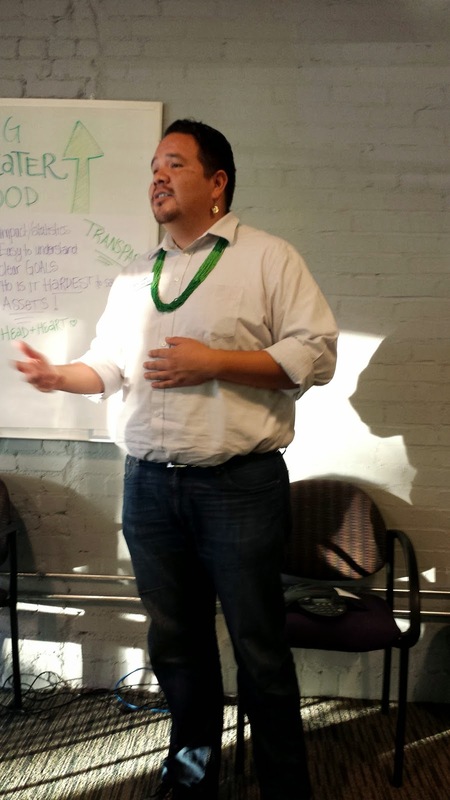 Since his move, Dameun has worked with organizations like MN UNITED, ACORN and Grassroots Solutions. He is also a member of our Advancement Committee here at Charities Review Council, and he is a founder of Hopewell Music Cooperative. His work has been primarily as a community organizer - working on the ground with the people who are taking action to change their community. Dameun felt himself drawn to philanthropy while working as an Engagement Lead on the Forever Saint Paul Challenge – a community problem-solving challenge aimed at all of Minnesota, asking “What would you do with $1 million to make Saint Paul great?” After thousands of ideas from across the state were submitted, the community was able to vote on the one they wanted to see in action. This was a departure from the status quo – funders normally rely on the ideas of upper level leadership and make their own decisions about where their gifts will make the most impact. With the Forever Saint Paul Challenge, Dameun saw what equitable philanthropy could look like, (bringing the biggest decisions back to the communities they are affecting), and he thought, “Maybe if I work in the field I can push it in that direction or shine a light on the value of that kind of outreach." What exactly does he think needs to be pushed toward change? “The power dynamic” Dameun explained, “I would like that to change. You want to hear how we’re doing (at the Foundation as a grantmaker) just as much as we want to hear from nonprofits how their work stacks up.” To him, the future of philanthropy lies in mutual accountability and trust between engaged donors and strong causes. As a Community Innovation Fellow he is almost always on the ground, having real conversations with the people who are organizing change. “We don't want people to feel like they have to jump through hoops to impress us," he said of the organizations he works with. He sees the ideal power-dynamic as a round table, where there is an equal exchange of ideas and resources between donors, funders and nonprofits. “Money doesn’t have to equal power.” Dameun explained, there is just as much value in the knowledge and expertise people at the grassroots level have about their communities and the issues they are confronting as there is in the dollars that fund their ideas. So how do we change that power-dynamic? That will depend on how good of listeners we can be. Can we evaluate our own work critically to inform and improve our philanthropic processes? Dameun's role as a Fellow is the beginning of this shift to a new way of funding. His biggest and favorite part of the job is hearing people's stories of hard work and innovation and being able to say "Yes, apply! Or, that's not exactly what we're looking for, but here's another resource for you to try." Our mission at Charities Review Council aligns with this value; we work to give nonprofits the tools to strengthen their capacity for mission engagement – to make the donor/nonprofit relationships more accountable, equitable and successful. That is why the Council has designed this year’s Forum to be a gathering of influencers, community organizers, foundation leadership, caring donors, and generous business professionals. All are invited to attend, imagine, create, and build a new road for philanthropy so we can do even more good together. Dameun wants guests to leave the Annual Forum with the idea that “there can be a whole new model” of giving, and he wants them to feel “inspired to engage and take that change into their own hands.” Just as he saw his personal power called towards the push toward a more equitable giving arena, he hopes that the Annual Forum with its theme of Disruptive Philanthropy, can give that sense of personal accountability to each of its attendees.